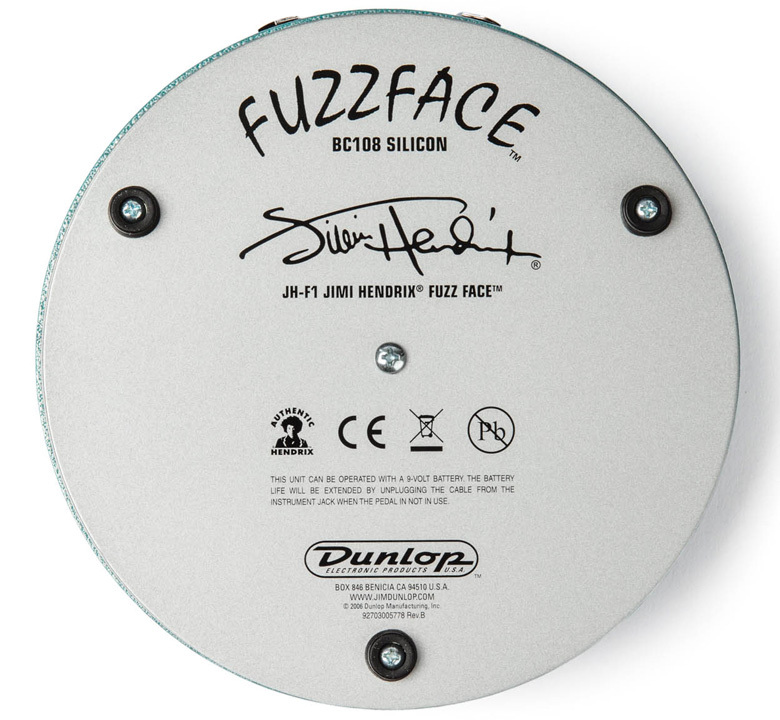 [Jim Dunlop] Jimi Hendrix Fuzz Face Distortion (JHF1) - Rudy & Co. 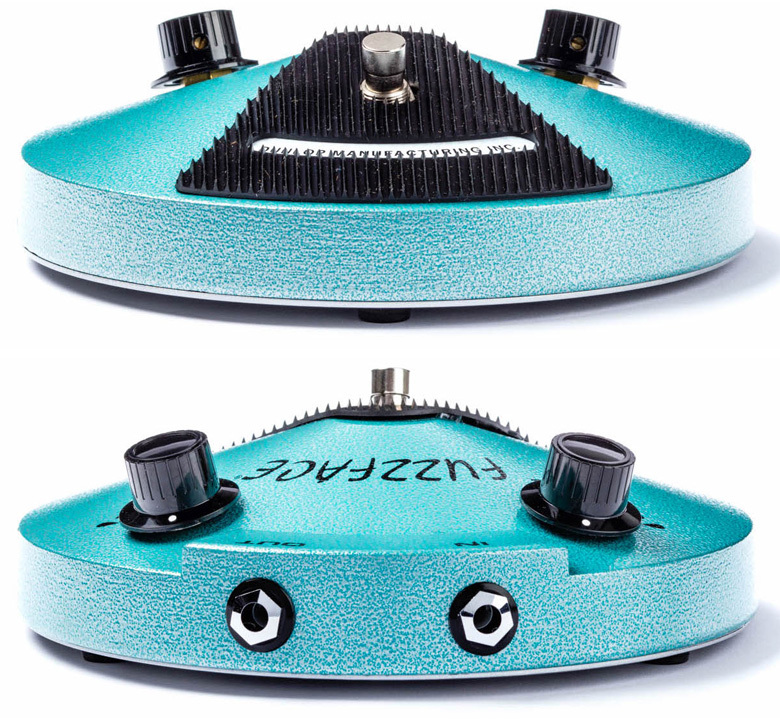 The Jimi Hendrix Fuzz Face Distortion is a meticulously faithful reproduction of the 1969-70 Dallas Arbiter Fuzz Face that Jimi used on classic albums such as Electric Ladyland. Dunlop's engineering department examined numerous vintage Fuzz Face pedals, honing in on a few units which possessed that unmistakable Jimi voodoo. This pedal is built around the toneful BC108 silicon transistor. It is authentic in every detail, featuring a hand-wired brown circuit board with no solder mask and circuitry carefully matched to original specs. 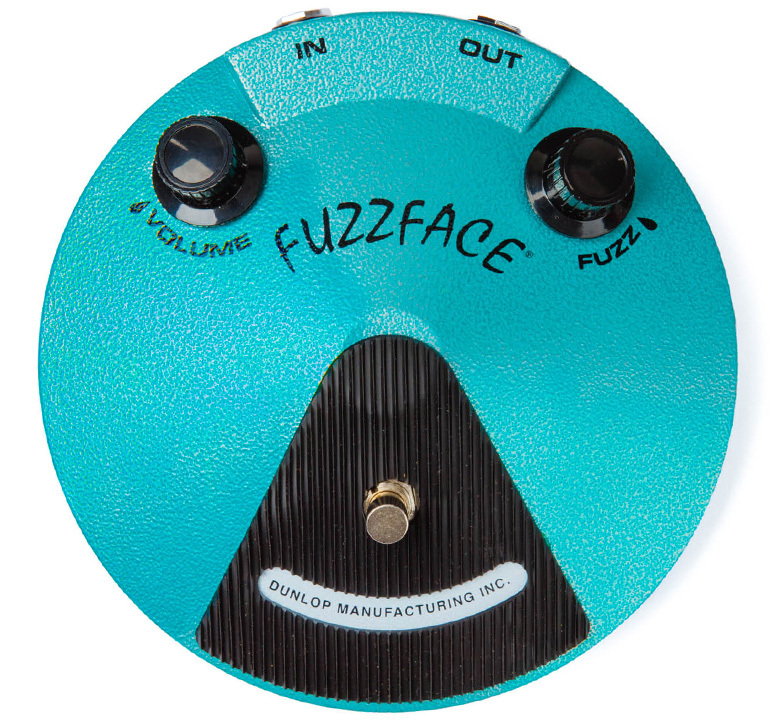 It's all housed in a 100% accurate groovy circular chassis with tooled clones of the original Fuzz Face knobs in the rare and vintage turquoise hammertone finish. A truly playable collectable for any Hendrix or Fuzz Face fanatic.